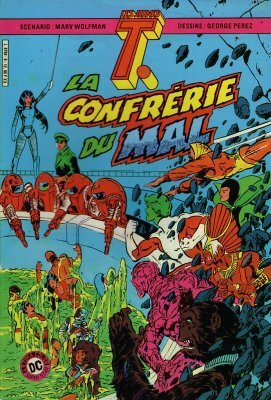 Aussi connu sous le titre : Les Jeunes T.
→ New Teen Titans (1°) #2 (12/80) Today... The Terminator! 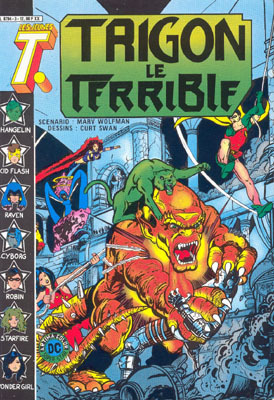 → New Teen Titans (1°) #3 (01/81) The Fearsome Five! → New Teen Titans (1°) #4 (02/81) Against All Friends! → Adventure Comics (1°) #484 (2) (08/81) Dial "H" For Hero - Mr. Negative! 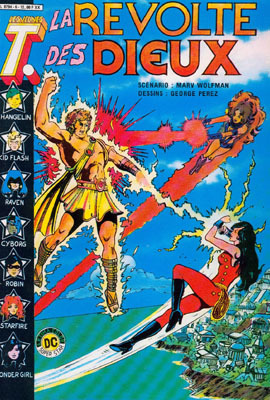 → New Teen Titans (1°) #5 (03/81) Trigon Lives! 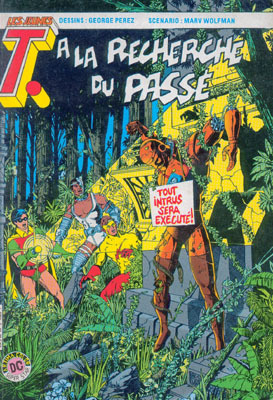 → New Teen Titans (1°) #6 (04/81) Last Kill! 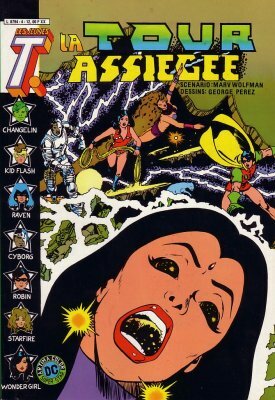 → New Teen Titans (1°) #7 (05/81) Assault On Titans' Tower! → New Teen Titans (1°) #9 (07/81) Like Puppets On A String! → New Teen Titans (1°) #10 (08/81) Promethium Unbound! → New Teen Titans (1°) #13 (11/81) Friends And Foes Alike! 2/ Les Jeunes T. - Révolution ! → New Teen Titans (1°) #14 (12/81) Revolution! 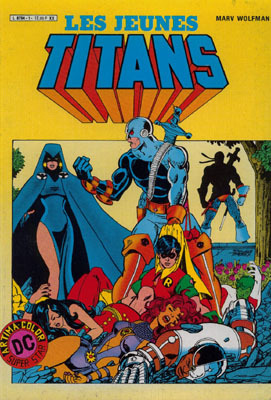 → New Teen Titans (1°) #15 (01/82) The Brotherhood Of Evil Lives Again! 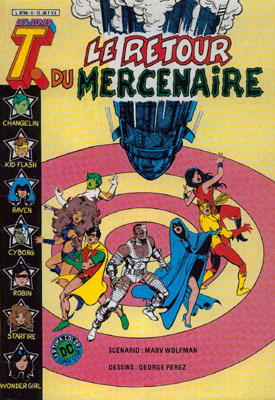 4/ Les Jeunes T. - Starfire déchaînée ! 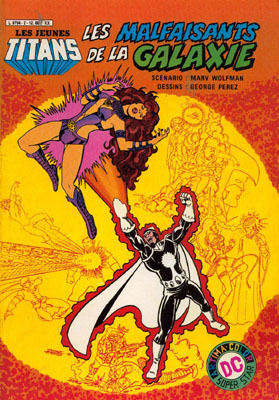 → New Teen Titans (1°) #16 (1) (02/82) Starfire Unleashed! 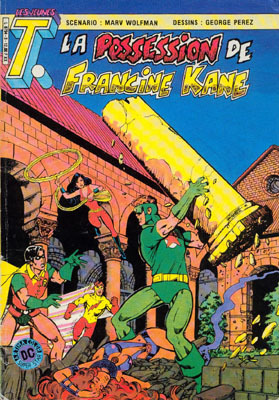 → New Teen Titans (1°) #17 (03/82) The Possessing Of Francis Kane - Chapter Two: The Devil Within Her - Chapter Three: The Summoning Of...? 2/ Les Jeunes Titans - Une fille nommée Maladi ! → New Teen Titans (1°) #18 (04/82) A Pretty Girl Is Like A... Maladi!